We were approached during the course of last year by North East Ambulance Service NHS Foundation Trust in relation to their controlled drugs cabinets. The ambulance service were looking to replace all their cabinets across their sites in the north east. 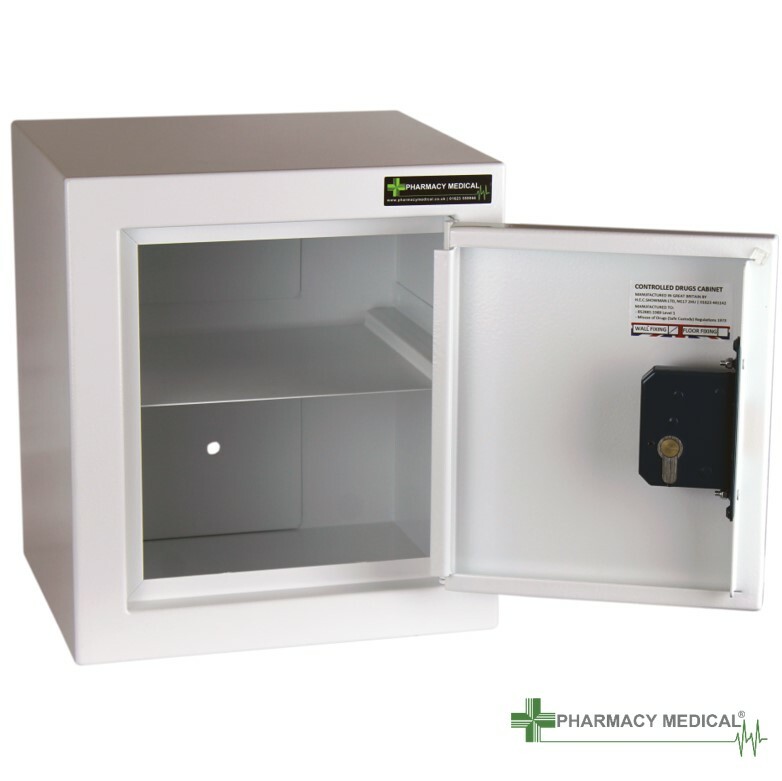 This would require the purchase of around 400 new cabinets, and naturally they chose us at Pharmacy Medical to manufacture and supply them. The cabinet that was chosen, was our CDC002 cabinet. 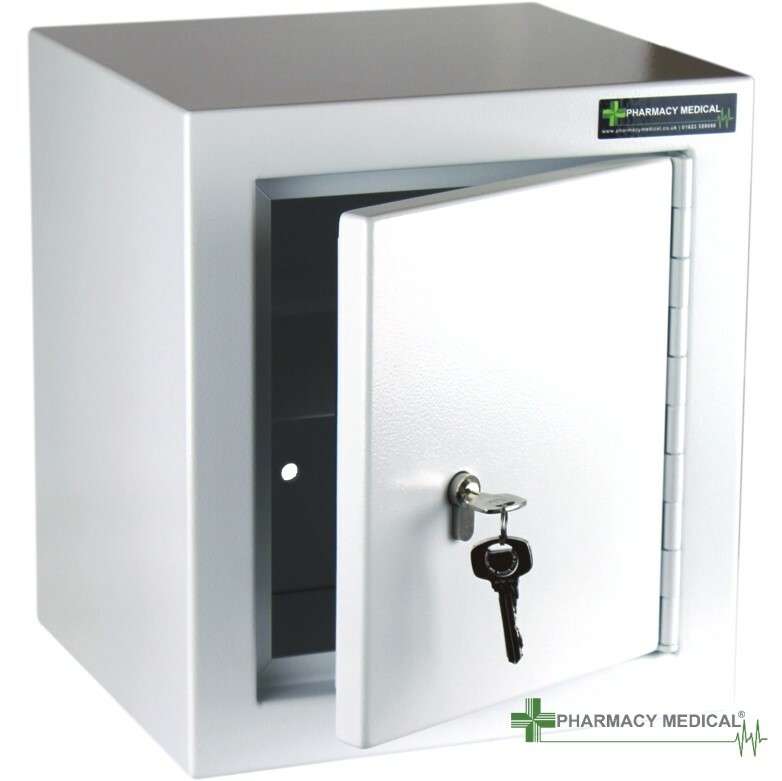 Although this was a stock cabinet, the ambulance service did opt for suited locks with a master key facility. We were able to offer this facility whilst maintaining well over the 1000 key differs required by the ‘Misuse of Drugs Act’. 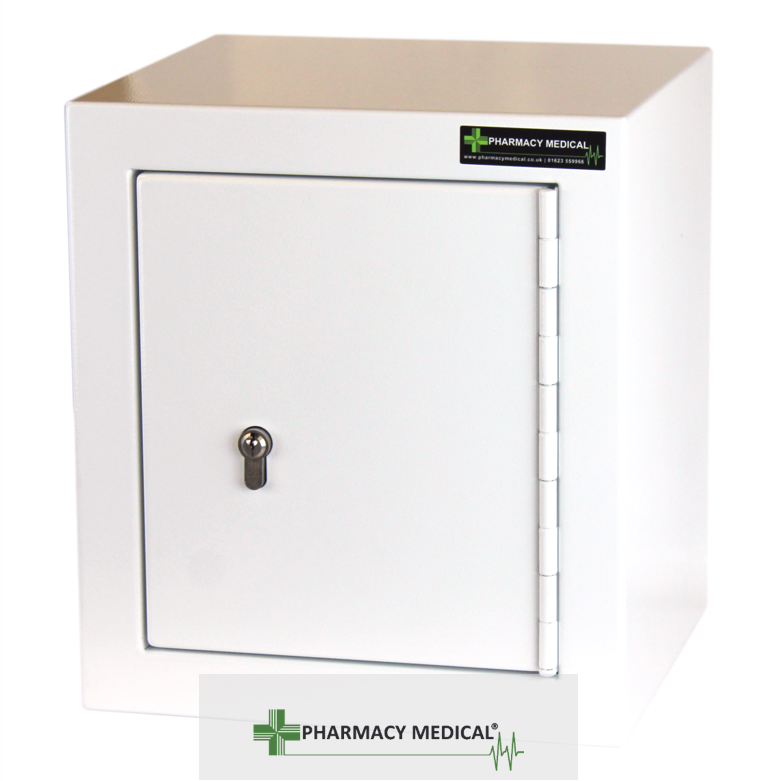 The recently updated design of this cabinet also features modified dimensions, a removable shelf and as ever is fitted with our kite-marked 6-pin euro profile cylinder lock, supplied by Yale. Making 400 cabinets for one place might sound like a challenge, and it was. However it was a challenge that we are used to and ready for. Firstly, these cabinets were delivered to our customer over the course of a couple of months which split the job into manageable chunks. To deliver on schedule our manufacturing force stepped up to the mark. As ever, we manufactured all of the cabinets in house, the only thing that was outsourced were the hinge and locks. Firstly we take the sheet steel and laser cut the profiles of the cabinet. This process accurately reproduces the shapes needed to form the cabinets. The blank profiles are then press formed into shape. This processes uses a CNC press brake to create the required bends. At this step the cabinets are welded together. We used the same operators to weld all cabinets together to ensure consistency and quality. Needless to say after welding 400 cabinets together near enough continuously, they’re sick of the sight of the 002. The welded cabinets were then taken over to our powder coating plant. Here they were painted in our trademark white texture paint. This paint creates a tough and durable hygienic coating. The painted cabinets are now ready to be assembled and packed ready to be shipped. Again the same operator assembled all the cabinets to ensure consistency. Assembly involves securing the door to the cabinet, installing the locking mechanism and applying the relevant legislative notifications to the cabinet. Once they cabinets were assembled they were packed and prepared for shipping to the ambulance service.